Hello everyone! 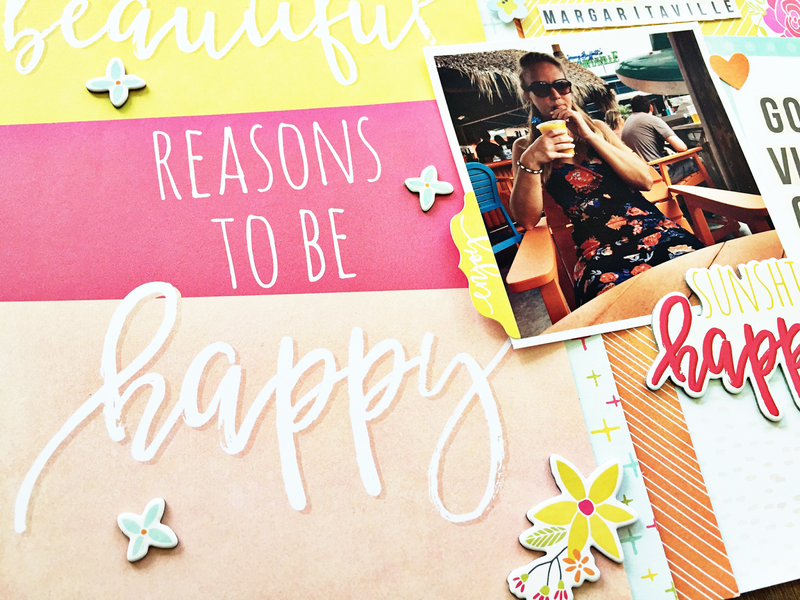 Today at Paper Issues we're putting the spotlight on the Simple Stories Sunshine & Happiness collection. 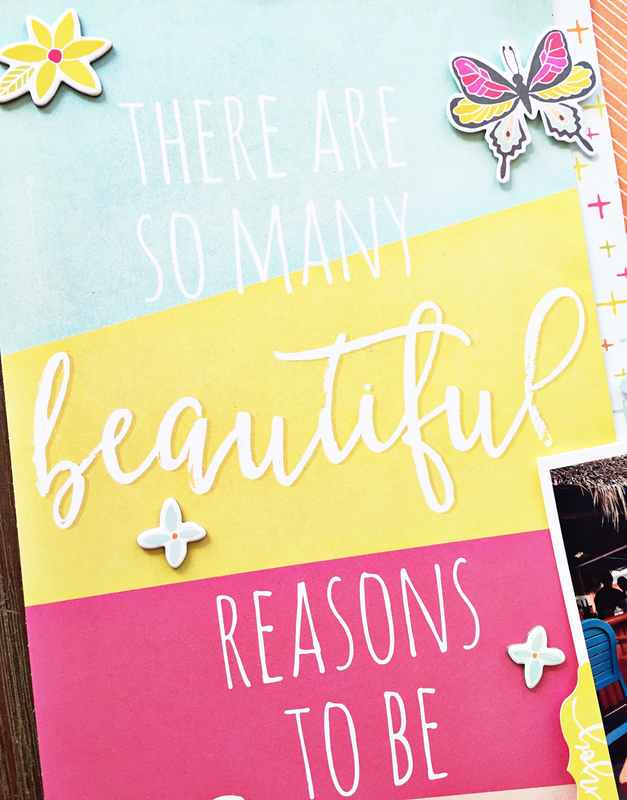 This collection is so fun and bright and his has some of my favorite colors, perfect for those Summer pictures! 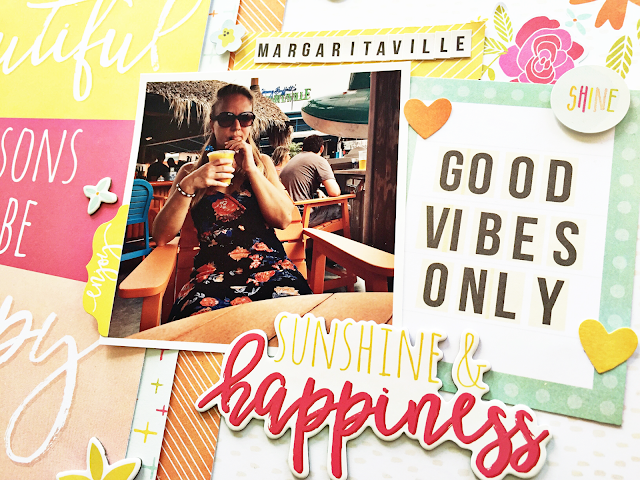 For my layout I documented a picture taken at Margaritaville at Universal Studios in Orlando. It's always a must to have at least one margarita there. What I really like about the Simple Stories collections are the papers that you can cut up in borders, I used a big one on my page here. 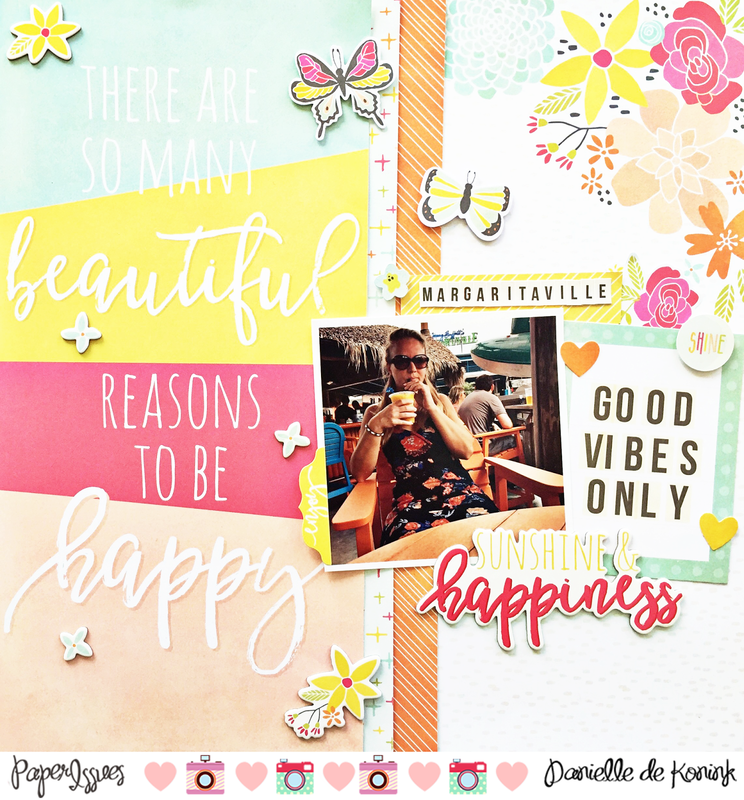 Check out the Paper Issues blog today for more amazing projects by the team. You layout really spreads sunshine and happiness. Wonderful!